I volunteer during my free time. No. No. That doesn't sound real to me. Scrap that. I consider volunteering as my "me-time". Last September, I found an event on Facebook called "YOU MAKE MY DREAMS COME TRUE" which was hosted by A-HA! Learning Center. A-ha, a-ha... Where have I seen that? It sounded so familiar and then I saw the address. It was on the same street as where we used to live! I've walked in front of the center for more than two years. Our unit was a block away. I used to wonder what it was because the green gate was always closed and there was just a small plank outside that said A-Ha! My sister mentioned once that she was doing a mural along with her Ang Ilustrador ng Kabataan co-artists over there. She was actually the one who explained to me what it was. Remember how you have me-time basketball games on Sunday afternoons? I found my me-time. If it's ok with you, I'll go teach English to kids on Saturday mornings. And you might wonder, what the heck, teaching English to kids for me-time? Why not go shopping, have facial or a mani-ped? Go out with friends, even? You know, perhaps, sleep, like 8 hours of uninterrupted sleep? Even my assistant team leader/friend have asked me a few days ago if I'll be giving up my weekend activities if I become busy with work during the weekdays. And I said no because my weekend activities aren't considered tiresome. I do blogging events, skills upgrade and conferences during weekends. Please don't question me why I don't just spend time with my little family. But if you must know, I have two boys who love and support me dearly enough to come with me to all these events and consider them "family time". My weekend activities are activities that make me happy. I do not see giving them up anytime soon. In a short, but deep sentence: It's good food for my soul. I was supposed to attend the September 9 orientation, but had to move to the September 16th because something came up at home. A-HA stands for Angels Here Abound. Inspired by Jaton Zulueta's mom, the center started in May 2009 and offers values formation and free tutoring in English to public school kids from Grades 1 to 12. The first ones who arrived were met by Nanay Nimfa, a pioneer. Then Teacher Nike came and Sir Jaton, A-HA's head. There were less than 20 of us in the orientation: lots of young students, people from the workforce, and three moms, including myself. In case you're wondering if you need to be an actual teacher to volunteer, you don't. In my batch were stay-at-home moms, college students, call center agents, an engineer, a businessman and a pharmacist. You can be anybody! I mean, even myself, the only "teaching" experience I have was breastfeeding counseling and probably as a career day speaker if that counts. So, there I was in a room with people who chose to spare a few hours of their time on Saturday. I've been going to the center for a couple of Saturdays already. I'm unable to come every Saturday because I have commitments every now and then, but I commute here whenever I can. One of the lessons I learned from Sir Jaton was to bring home the positivity. Because it's crazy to be so positive in the center and help other kids, when you can't be good in your own home. And I like that because it's something I live by not only for myself, but also for my family. I've started to go by the name TEACHER NINI. I've placed myself as an English tutor for remedial kids. But last Saturday, I was assigned to Robert. He was on remedial for Math. My stomach churned. Math... I can't even handle my own Mathematics and I was going to teach it. I don't sound so convincing. But I was glad because he did so well in an hour and a half. We went from Addition and Subtraction with re-grouping of 2-digits to 4! I love the way the center is giving hope to these kids. I love the faith they put on them. These kids are dreamers and the people in A-HA help them make these dreams come true. I've found my happy place. 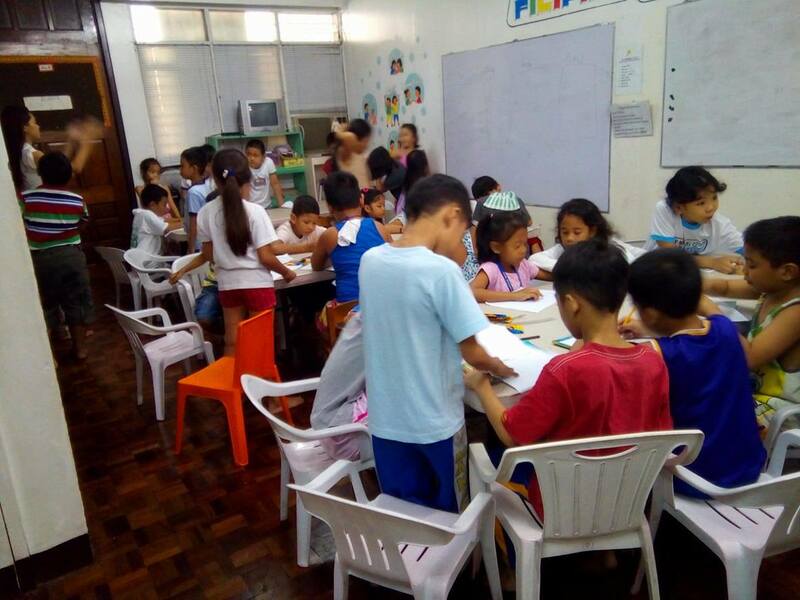 Aside from volunteering as a tutor, you may also help in making materials for the classes, facilitate creative workshops, work with its public school partners, be a partner organizations, donate books and board games, sponsor the feeding program or simply just spread the word about A-HA! We're currently raising money for noche buena packs. Each pack is worth P600 and will go to an A-HA family. A pack will consist of 3 Argentina Embotido, a Fiesta Sweet Spaghetti Pack, a pear-shaped ham, Eden Cheese, Cream and a fruit cocktail. Please please please! We'd really be super happy if you can join us in this initiative. For more information, you may check out their A-HA! Learning Center Facebook Page or email ahalaearningcenter@gmail.com.